The smartphone platform in general is, aimed at teenagers and adults who own their smartphones. However, the platform is quickly growing into a great place for kids with a selection of apps and games that cater to younger minds along with hardware specifically geared toward kids. 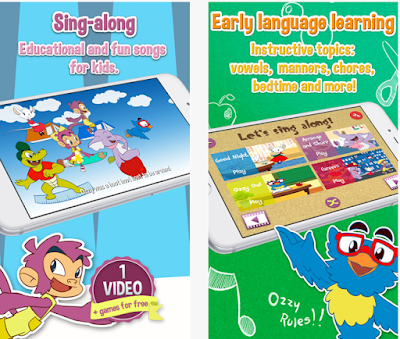 Today we are here with game app for kids that along with entertainment will also help you to educate your kid. We are talking about, Monty Monkey and Friends. All of these activities aimed at very young users, with the stated expected range being 0-5 years old. Engagement in the app may well tail off towards the higher end of this age range though, as the app will be basic compared to others that preschoolers may already be aware of and competent in using. The app is, however, more interactive than many simple video-sharing platforms.